“Healing is part of life and continues through death and into life again. It occurs throughout a person’s life journey as well as across generations. It can be experienced in many forms such as mending a wound or recovery from illness. Mostly, however, it is about renewal. Leaving behind those things that have wounded us and caused us pain. Moving forward in our journey with hope for the future, with renewed energy, strength and enthusiasm for life. Healing gives us back to ourselves. Not to hide or fight anymore. But to sit still, calm our minds, listen to the universe and allow our spirits to dance on the wind. It lets us enjoy the sunshine and be bathed by the golden glow of the moon as we drift into our dreamtime. 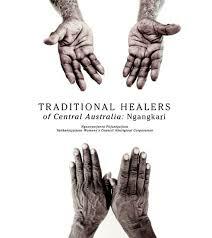 Healing ultimately gives us back to our country. To stand once again in our rightful place, eternal and generational. Healing is not just about recovering what has been lost or repairing what has been broken. It is about embracing our life force to create a new and vibrant fabric that keeps us grounded and connected, wraps us in warmth and love and gives us the joy of seeing what we have created.